Priced reduced and move in ready! Gulf Gate's BEST kept secret! 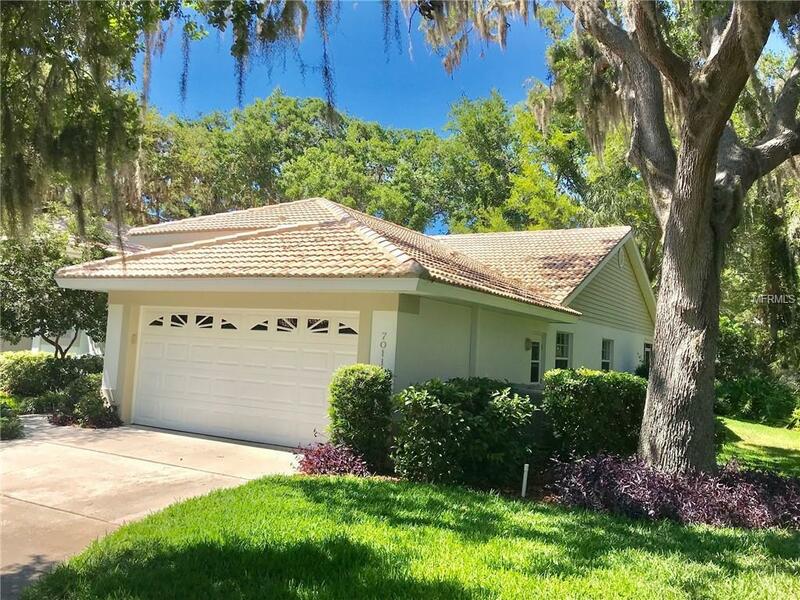 Woodside Oaks is home to 17 well built homes surrounded by large Oak trees and lush landscaping and convenient to shopping, restaurants, "A" rated schools and Siesta Key Beach, THE #1 BEACH in the USA. This quiet community offers heated pool and gathering area, cable, ground maintenance, pest control and more. The original owner has proudly maintained the home with updates and features including newly painted exterior, storm shutters, kitchen and baths have newer counters, cabinet doors and appliances, vaulted ceilings and decorator shelving, brick flooring in lanai in a very private setting with tropical landscaping, brick patio off of guest room with walled privacy and beautiful vegetation. Garage features plenty of counter top work space, work sink and storage. Unit was replumbed in 2005 and a/c was replaced in 2010. This TRUE END UNIT receives the morning sun while you enjoy your morning cup of coffee. A wonderful place to call home or have a second home! One Year Home Warranty to be paid by seller at closing for buyer.